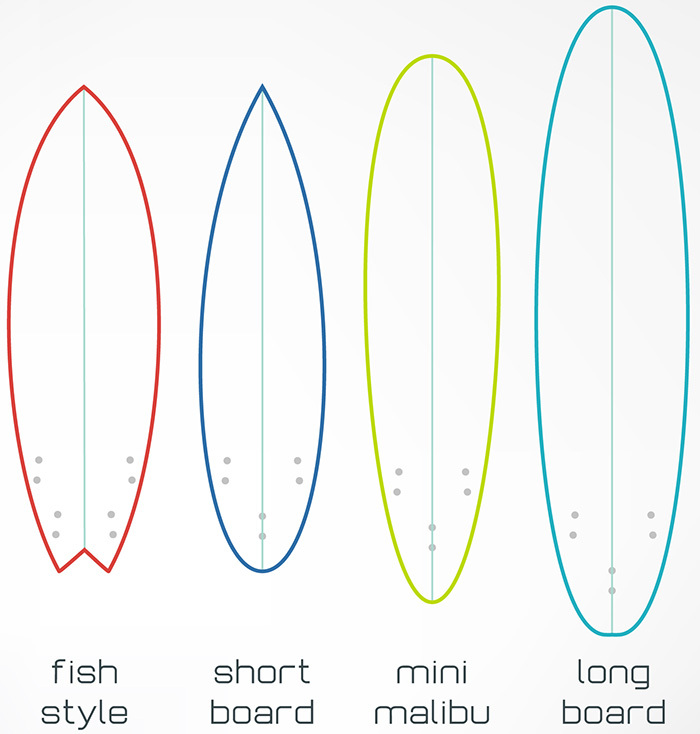 The Mini Malibu surfboard (also called Funboard) is something "in between." You will kind of get the feeling of a longboard, as well as you get some of the maneuverability of a shorter board (shortboard/fish). Funboards are perfect when learing surfing for bigger kids and smaller adults. Tips, tricks or questions about Funboards (in general or about sizing)? Please post it below. Thanks!